You've just started beading, now what do you do? You may have been drawn to this time-honored craft by your love of beads, but learning to transform individual beads into beautiful works of art is no small task. It's almost irresistible. You've learned the basic Peyote stitch and worked about two to three dozen rows on a beadwork piece or project for a friend. Now you're addicted. So, you're off to the store to load up on beads, and buy packages until you have one of each. Next come storage containers, a work bench, all the accessories such as thread, needles, accent beads, wire, a bit of chain, maybe a few crystals, and a few other thousand beautiful bits you must have. Then, off to home to put it all away. Don't get carried away and end up being overwhelmed and giving up on beading halfway through your first project. Here are the essentials you need to know to get started. Essential Beadweaving Supplies: See the essentials you will need. These include beading needles. Beading thread, beading scissors, thread conditioner, a bead mat, bead dishes, bead scoops, a task light, and a magnifier. Types of Beads This is a primer that gives a little background and backstory on the various popular beads you'll see advertised for sale in stores and online. Take it with you if you have questions for the bead store, and ask them why they are encouraging you to buy something different, though it may be the same color and size. Bead Buying Tips for New Jewelry Makers: Learn the ins-and-outs of buying beads. It's best to buy them in person and to avoid assortments. See more tips to know before you head to the store or start shopping for beads online. Five Off-Loom Beadweaving Stitches: You will need to know the stitching techniques for different bead weaving patterns. See the basics of the even-count peyote stitch, odd-count peyote stitch, ladder stitch, brick stitch, square stitch, right angle weave, and Ndebele herringbone stitch. 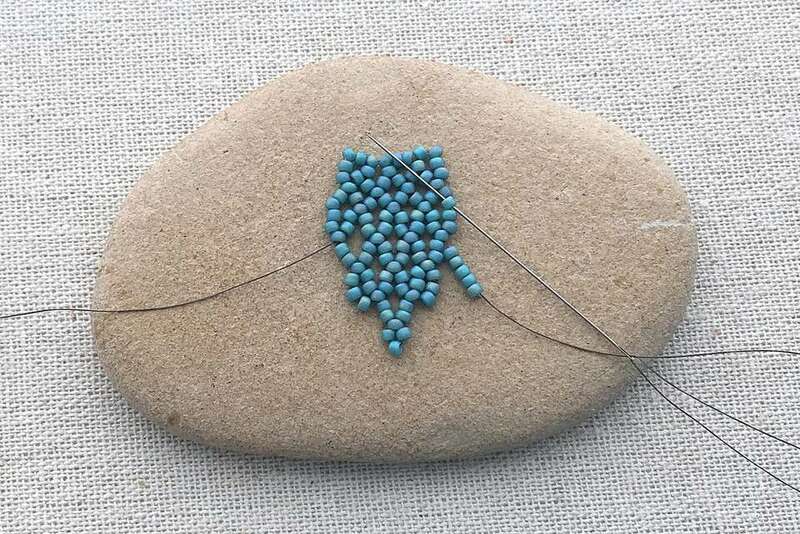 Once you've explored these basics, you'll be ready to start your beading projects. Which Beadwork Stitch Should You Learn First?